Kenwood has just completed a large project to eradicate dry rot within a commercial property in the City of London. Contractors carrying out refurbishments found Dry Rot to be affecting various timbers within the offices. 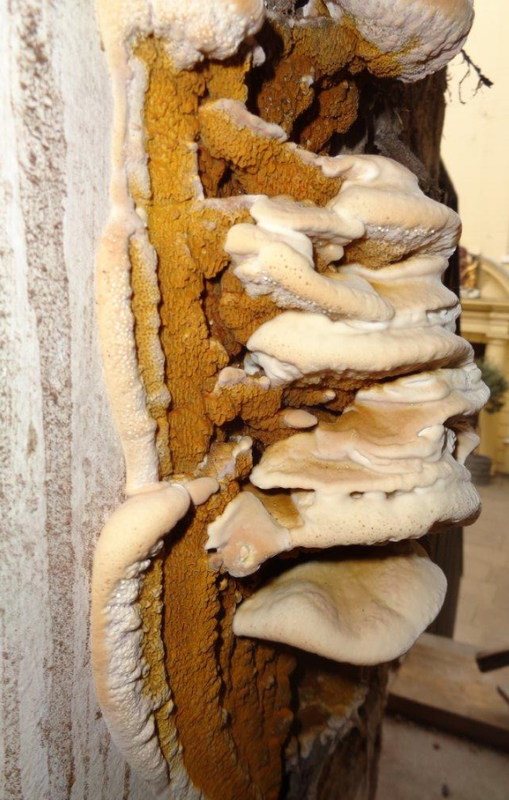 Dry rot is caused when timber comes into contact with damp masonry usually combined with a lack of ventilation. Sub floors and voids are therefore particularly vulnerable. To treat this aggressive outbreak Kenwood has removed the source of moisture, cut out the affected timbers from the site and destroyed them. The walls have been irrigated; this is done by drilling into the brickwork and injecting a fungicidal fluid. The oversite is sprayed with the solution to complete the treatment. Following this the timbers are replaced with pre-treated timbers isolated from the masonry to help prevent reoccurrence and the area thoroughly dried out.